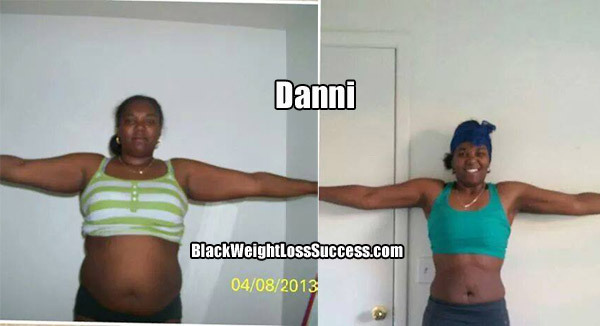 I started the Insanity program last year on April 8, 2013 and promised to share my success the following year. From April 2013 to April 2014, I went from 230 lbs to 160 lbs (height: 5’7″). My goal from April to now was 7 lbs and I have succeeded and went beyond the 7 lbs. I am now below what they call the overweight line for my age and height. I am now toning my body to the desired look I want. My routine for the year was based on Insanity (modified to the fullest) every few months and a lot of workouts I did on my own. I did T25 (modified as well) and gym gym gym. In the gym, I did some cardio and lots of weight training to build fat to eat away at the fat even at rest. I ate more protein, no processed foods, and only natural sugars like from fruit. With that, I was able to drop 70 lbs in the year. With all the encouragement, motivation and an allergy to corn, ground nuts, wheat (causing me to cut out a lot of foods), I lost the weight very fast. I had an accident that messed up my knees, but I didn’t let that deter me. I decided to work on the body parts I could move without further injuring myself. That’s dedication. Mind you, I do have over 10 food allergies. A lot of these foods I still eat, even with the side affects, but my severe anaphylactic reaction comes from corn. Unfortunately, you’ll find that almost everything you eat and drink/alcohol has corn syrup, corn starch, corn meal, maltodextrin, dextrose and the million other food ingredient names no one knows but scientists that is basically corn based. My allergies actually are what helped me to shed the pounds even faster. NO, I counted no calories because I am limited as it is. I didn’t want more on me then I can bear, especially with my passion for food.